A lot can transpire within a person’s life through the years. 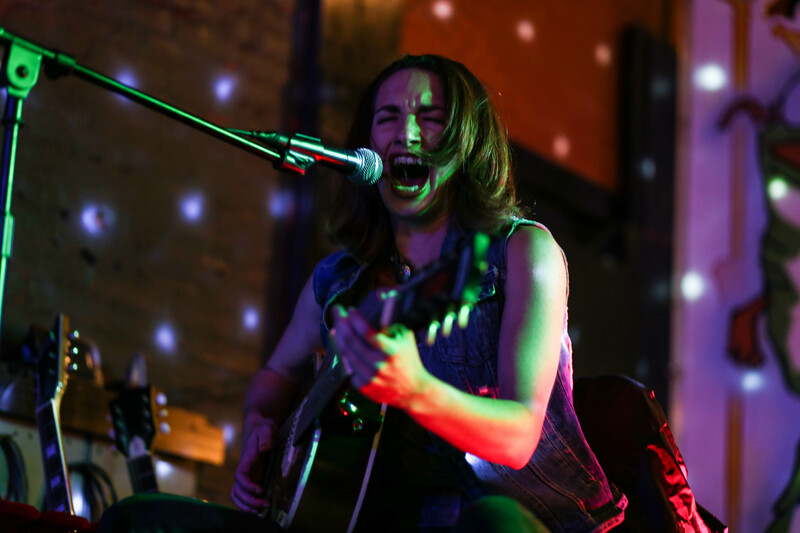 Ten years ago, Molly Gene One Whoaman Band was just starting to cause a stir playing at The Bay, which became a hub for a then reemerging live music scene in Warrensburg. The Bay changed locations in 2015 and shut its doors in the summer of 2017 due to financial issues. Shortly after, Gene would take a four month excursion to San Francisco. As a new year descended, Mid-Missouri’s prodigal daughter returned. A romantic connection brought Gene to San Francisco. “I have been dating someone on and off for a few years who lives in SF, so I decided to go out there and see if I liked it,” Gene explained. As a touring musician, Gene has traveled far and wide, ranging from New York to California and beyond, but she had never lived in a big city. While staying in San Francisco, Gene found a rhythm and comfort there. Her return to Warrensburg wasn’t directly related to music — she is in the process of obtaining a degree in psychology at the University of Central Missouri, with graduation set for May. As Gene has taken on college life, touring is currently on the back burner, but this seasoned road warrior is set to embark on another European tour after graduation. Waiting in the wings is Freight Train Rabbit Killer, from Kansas City, Mo., musical allies whom Gene will be taking with her on the upcoming tour. Kristopher Bruders, guitarist and vocalist in Freight Train Rabbit Killer, recalled meeting Gene in 2010 through his other band Cadillac Flambé. Gene and Freight Train Rabbit Killer started playing shows together in 2015. A connection was forged, which Bruders attributes to similar musical influences, and they embarked on regional tours in the Midwest, with stops in Iowa, Minnesota and Wisconsin. While Freight Train Rabbit Killer continued to wow crowds in Kansas City, Gene was making plans for her last semester at UCM and arranging the a tour. The day after Christmas, Gene uploaded a video for a new track, titled “Time Marches One.” The video features a solo Gene performing the song in a barn and showcases how musically multifaceted she’s become. The song stands in stark contrast to the high octane, whiskey-soaked, raucous “Delta Thrash” sound that became Gene’s calling card. “Time Marches On” is a Bob-Dylan-esque folk inspired, soul stirring tune, with lyrics tackling the reality of linear existence. With lyrics such as “time isn’t money, it’s life, and it’s death” and “that old barn’s falling down, fading in the sun, abandoned in the field, time marches on, once in a while an old truck passes by, looking for that old barn that once stood so high,” Gene’s inspiration for song is rooted in the tenets of Buddhism. As time moves forward in Gene’s life, she has her mind on the future with a list of goals. She continues to write new songs but currently does not have enough for a new album. Molly Gene is playing at Rose Music Hall in Columbia, Mo. Jan. 21, and at The Brick in Kansas City, Mo. on Friday, Jan., 26. For more, follow Molly Gene One Whoaman Band on Facebook here. For the latest in local arts and entertainment, follow Central Mo News on Facebook here.